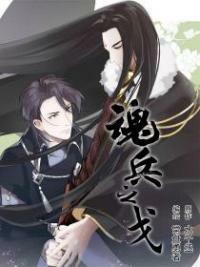 You’re reading novel Chaotic Sword God Chapter 22 - Battling Ka Di Yun online at LightNovelFree.com. Please use the follow button to get notification about the latest chapter next time when you visit LightNovelFree.com. Use F11 button to read novel in full-screen(PC only). Drop by anytime you want to read free – fast – latest novel. It’s great if you could leave a comment, share your opinion about the new chapters, new novel with others on the internet. We’ll do our best to bring you the finest, latest novel everyday. Enjoy! With his sword in hand, Changyang Hu’s courage was bolstered, despite knowing that his opponent was a Saint with a Saint Weapon. However, at least he had gained some more power too. “Changyang Hu, do you really think you stand a chance against me with a regular iron sword? Wishful thinking. Right now, I’ll show you the power of a Saint.” Ka Di Yun quickly sped towards Changyang Hu after that while carrying his double sword, as if it wasn’t heavy at all. He swung his sword at Changyang Hu so fast, the air whistled as the sword traveled through the air. Changyang Hu’s attention was extremely concentrated on the Ka Di Yun’s Saint Weapon. Quickly retreating before he could get hit, the sword narrowly missed him and only swiped at his clothes. A few strands of his clothes were sent flying through the air as the sword sliced away at the clothes. 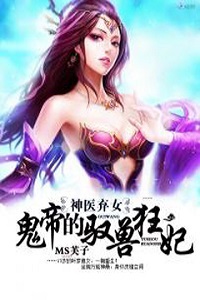 After becoming a Saint, Ka Di Yun’s strength became many times stronger than what it was previously, and couldn’t be compared to Changyang Hu’s strength, which was at the 10th Saint Force layer. With just the first blow, Changyang Hu knew how much danger he was in. “Ha!” Halfway through another strike, Ka Di Yun didn’t hesitate at all mid-swing. As he advanced closer and closer to Changyang Hu, his entire body started to emit an extremely strong Qi that imposed itself on Changyang Hu. Taking a swipe, Ka Di Yun tried to chop down Changyang Hu with his golden sword once more. Seeing how strong the greatsword was, Changyang Hu could not parry the blow, as the iron sword in his hand would not be able to withstand the powerful force from the Saint Weapon. 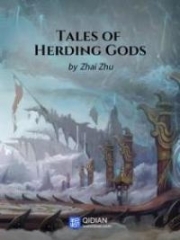 The greatsword was extremely fast, and was far beyond what Changyang Hu had expected. Feeling the great sword in close proximity with his head, Changyang Hu didn’t hesitate at all to duck and roll away from it. At this moment, he was unable to cope with the fight’s intensity. The moment after Changyang Hu rolled away, Ka Di Yun’s sword embedded itself into the spot where Changyang Hu had once been standing at. The strong concentration of energy that made up the sword left a deep crack within the ground of the arena, while smaller cracks started to spread out in all four directions to at least a meter away from the original impact zone. Changyang Hu took the opportunity when Ka Di Yun was trying to recover from his strike to brandish and slash his sword at Ka Di Yun. “Hmph!” Ka Di Yun snorted in disdain as he waved his hands. The Saint Weapon in his hands began to emit a magnificent light as it reappeared back into his hands and collided against Changyang Hu’s iron sword. A loud and crisp sound echoed throughout the arena as the iron sword met the golden sword, before it was sent flying backwards. The sword had been forced out of Changyang Hu’s hands after the collision, causing Changyang Hu to be defenseless. Already his mouth was trickling blood as the sword had somehow managed to inflict damage to him. Immediately, Ka Di Yun’s foot lashed out and smashed against Changyang Hu’s chest. His strength was high enough that it was able to send a strong person like Changyang Hu flying backwards and off of the arena. As he flew off into the air, blood came spraying out of his mouth as his face grew pale from the shock. “Big brother!” Jian Chen cried out, his expression suddenly changing. He immediately dashed towards where Changyang Hu was and leapt into the air. While everyone was watching Changyang Hu being launched into the air in astonished stupors, Jian Chen had already moved into action. Right as Changyang Hu was about to hit the ground, Jian Chen came out from the side and caught him before impact. “Keh!” On the ground, Changyang Hu started to cough violently, causing droplets of blood to splatter out of his mouth. A Saint’s strength was far stronger than someone who didn’t reach the same level; this was true even for Changyang Hu, who was at the peak of the 10th layer. Thus, he had suffered from serious internal injuries. “Big brother, are your injuries serious?” Jian Chen tried to quell the anger within himself as he looked at his brother in concern. Changyang Hu shook his head in anger as he fixed his attention at the smug Ka Di Yun on the arena. “I’ll be fine, but I didn’t think Ka Di Yun’s strength would be this strong after reaching the Saint level with a Saint Weapon. As of right now, your big brother is no longer a match for him.” Changyang Hu growled, his anger not dissipating at all. “I’m sorry big brother, I was the one who got you involved.” Looking at Changyang Hu’s pale white face from his injuries, Jian Chen felt true guilt within his heart. 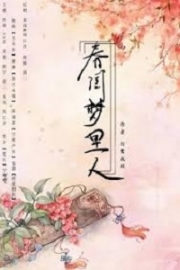 Changyang Hu’s words shook Jian Chen’s heart; tilting his head up at Ka Di Yun, his eyes started to flash cold for a brief second before disappearing. The disdain in his eyes wouldn’t dissipate, however, and he immediately said emotionlessly, “Big brother, you should rest up for a second, I’ll definitely get revenge for you.” With that said, Jian Chen started to move towards the arena. Jian Chen gave an apologetic smile and said, “Big brother, please believe in me.” His face exuded a fierce conviction, and he threw off Changyang Hu’s grasp on him, leaping onto the arena. As Jian Chen leapt onto the arena, the audience surrounding them cried out in alarm; no one believed that Jian Chen would be an appropriate opponent for a Saint like Ka Di Yun. “He-he really is a hot head. Ka Di Yun is a Saint who just beat a person who was at the peak of the 10th layer. How would he win against someone like that?” Under the arena, the girl who sat next to Jian Chen in the library muttered as she watched him join the arena. Her entire face was filled with concern. Ka Di Yun watched Jian Chen leap up with a blank look, but he quickly regained his wits and snorted with laughter, “What’s wrong, Changyang Xiang Tian, do you really think you can fight against me? !” Ka Di Yun never thought Jian Chen to be a worthy opponent; after all, he was a powerful Saint already. 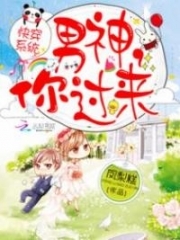 Stunned, Ka Di Yun started to laugh evilly as he smiled at Jian Chen, “Of course, it’s definitely okay.” Right now, Ka Di Yun was thinking about the best way to humiliate Jian Chen, since Jian Chen had humiliated his pretty younger sister, Ka Di Qiuli. during the freshmen martial arts compet.i.tion for everyone to see. This had earned hatred from both Ka Di Yun and Ka Di Liang, for they both loved their sister dearly. Jian Chen was in no rush, as he walked over to where Changyang Hu’s sword was. As he weighed the sword on his hands, Jian Chen slightly frowned. The sword didn’t weight past 100 pounds, but it was close enough to that weight. If it weren’t for the fact that Jian Chen was at the 8th Saint Force layer, then he wouldn’t be able to lift the sword at all to use it. In his previous life, Jian Chen would frequently use a sword that had a blade two finger widths wide. With that sword, he had brought his swordplay to a level that he had been famous for. With this two hand sword, however, Jian Chen felt like one of his arms was bound behind his back, since it was very heavy. He would not be able to use the full extent of his powers, and just swinging the sword with ease would demand a large amount of his energy. It was a shame that with the exception of this sword, there was no other sword around. With a small amount of hesitation, Jian Chen decided to forgo the giant sword and fight against Ka DI Yun barehanded. This way, he would at least have the advantage in speed and nimbleness. Ka Di Yun’s face narrowed; clearly Jian Chen was looking down on him by fighting bare handed. For an 8th Saint Force layer pract.i.tioner to fight against a Saint without any weapon while the Saint had a Saint Weapon, was a display of great humiliation towards the Saint. Hearing this, Jian Chen let loose a strange smile. Without wasting words, he dashed towards Ka Di Yun, and used his Saint Force to amplify his strength as his fist flew at Ka Di Yun’s head, cutting a sharp whistle through the air. Ka Di Yun looked at the first with a bored expression, before returning the blow with his own fist. The two fists collided as a golden light flowed out from Ka Di Yun’s fist; only those who reached Sainthood would be able to materialize their Saint Force like this. The moment when the two fists collided against each other, Jian Chen’s fist suddenly spread out to become an open palm after the initial contact was made. His hand absorbed the impact so that the blow became as soft as a sponge, as he used Tai Ji Quan to force Ka Di Yun’s fist to overextend harmlessly past himself. Ka Di Yun’s arm was forced upwards in a weird position as Jian Chen twisted it. In a flash, the strength behind Ka Di Yun’s fist dissipated away, as Jian Chen extended his other hand to chop down onto the joint of Ka Di Yun’s arm. The sound of a bone breaking could be heard, as Jian Chen dislocated Ka Di Yun’s arm with a arm chop. Ka Di Yun let out a m.u.f.fled and pained cry, as the pain in his arm registered within his brain, causing his face to go deathly white. Right after his hand had dislocated Ka Di Yun’s arm, Jian Chen did not stop moving. Both of his arms grabbed onto the entire arm and gave it a mighty twist. By this point, Ka Di Yun couldn’t refrain from screaming anymore. Releasing a squeal of pain reminiscent of a wild pig, he felt as if his entire arm had been broken off. Ever since he was small, he had never suffered pain to an extent like this, and so in such a short amount of time, his face was drained of color, as his entire forehead started to drip with sweat. Hearing such a desolate yet miserable shriek, the people who had originally been chattering away during the match went deathly silent. Everyone watched Jian Chen with amazement as they watched the inconceivable happen. This situation was the exact opposite of what everyone was expecting to see. “Since when did fourth brother become this amazing? Just looking at this, Ka Di Yun will definitely suffer a lot by Changyang Xiang Tian’s hand. However, even if Ka Di Yun doesn’t use his Saint Weapon, he’s still a Saint; his strength is definitely still greater than mine.” Changyang Hu muttered to himself as he watched the match with a dumbstruck expression. 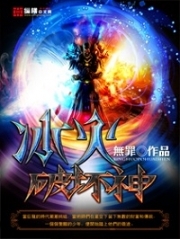 You're reading novel Chaotic Sword God Chapter 22 - Battling Ka Di Yun online at LightNovelFree.com. You can use the follow function to bookmark your favorite novel ( Only for registered users ). If you find any errors ( broken links, can't load photos, etc.. ), Please let us know so we can fix it as soon as possible. And when you start a conversation or debate about a certain topic with other people, please do not offend them just because you don't like their opinions. 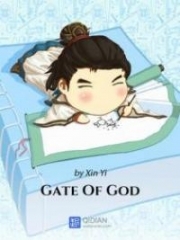 You're reading Chaotic Sword God Chapter 22 - Battling Ka Di Yun. This novel has been translated by Updating. 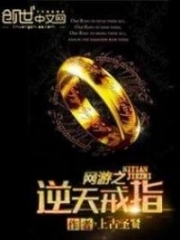 Author: Xin Xing Xiao Yao already has 15082 views. Current Time is Apr-24-2019 08:01:35 AM.